Posted by heldveld in Book Reviews, Christian Reconstruction, R.J. Rushdoony, Theonomy. This book is made up of the transcripts of 32 radio addresses prepared by Rushdoony during the years of 1966 and 1967. Each chapter is about 5 pages long and gives the reader a quick introduction to Rushdoony’s thoughts on a variety of subjects. Overall I found his insights quite intriguing and accurate. Considering that they were written about 40 years ago it was kind of eerie how well they applied to our present circumstances. As a father I really appreciated how Rushdoony focused on the family in several chapters. He shows the importance of the family in the Bible (ie laws to honor father and mother and against adultery) and points out how often actions by the state or non believers attack the institution. Liberty would be a second theme found often in the book. Liberty is seen as crucial to the Christian life as only in a free society are we free to serve our Lord. I recommend this book if you’re a fan of Rushdoony or not. At a minimum it will get you thinking about the various topics covered. It will also acquaint you with some of the basic ideas behind the Christian Reconstruction movement. Posted by heldveld in Andrew Sandlin, Apologetics, Book Reviews, R.J. Rushdoony. I picked up this book due to my interest in presuppositional apologetics. It sets out the defend infallibility from this perspective. In addition it examines some issues associated with infallibility and how we should interpret the Bible. The first part of this book, written by Rushdoony, is a defense of Biblical infallibility from the presuppositional perspective. We find in it that Biblical infallibility ultimately rests on how one views God. If he is sovereign and cannot lie (as displayed in the Bible) then his word is obviously infallible. Yes it is that simple. It all lies in where trust is placed in man or God. Rushdoony goes on to examine issues that occur when the Bible is not held as infallible. He then critiques Meredith Kline’s position seeing him as mythologizing portions and placing ‘academics’ over scripture. The last chapter in his section on infallibility examines Van Til’s view. The second part of the book, written by Sandlin, deals with how to interpret the Bible. To begin his case He states that the Bible is its own guide to interpretation (2 Timothy 3:16-17). He then looks at two departures from interpreting the Bible according to the Bible, interpreting according to authority (the Pope, etc.) and personal opinion (this is what the passage means to me). In this section he also explains how we cannot escape to some extent interpreting the Bible for ourselves, by relying on our presuppositions. This makes it important that we identify what our presuppositions are so we can see their affect on interpretation. This leads to the fact that it is important to rely on teachers and others for proper interpretation. The next chapter examines how infallibility relates to interpretation. Here the author stresses the importance of taking the whole Bible as infallible or you end up undermining the concept. He then points to the fact that we may see paradoxes (things that seem contradictory) in scripture but that we should expect this as creatures reading the creator. He then moves on to the theology of Biblical interpretation. He states again that we must acknowledge that we come to scripture with presuppositions. However, while we come with presuppositions this does not mean that the text does not have true meaning (as some post modernists may say). As with teachers above, he mentions other ways to minimize the distortions that may be caused by incorrect presuppositions. The reformed confessions and historic creeds are given as guides with which we should frame our interpretation. The confessions are compared to yield signs and the historic creeds as stop signs in interpretation. Also noted is that Biblical theology is improving as we build upon the foundations of the Calvin and Luther as they in turn had built on Anselm and Origen. The most important part of this chapter is that Sandlin recognizes that the Holy Spirit, through our regeneration, changes our presuppositions and enables us to more properly interpret scripture. His final chapter focuses on the need to interpret the Bible in terms of covenant. An interesting point he makes here is that the Old Testament is not the old covenant. He sees the new covenant as faith and grace and the old as works righteousness and unbelief. Therefore Old Testament believers like Abraham and David were part of the new covenant in that they lived by faith in God. He also points out how we today can be part of the old covenant if we rely on our works. The book also includes three appendices. The first deals with sola scriptura, showing what it is and isn’t. He then look at the advantages and problems with the redemptive-historical method, showing that while it can give great insight but it misses much by applying to limited of a scope to the Bible. The inerrancy if the original autographs is the topic of the third appendix. Here he shows how this apologetical argument is deficient because it denies the sovereignty of God in providentially preserving his word. A helpful and thought provoking book. It’s just under 100 pages and each of the writers has a clear and easy to understand style. The sovereignty of God and our need to submit and trust him are the key presuppositional themes that are built upon. I benefited from and recommend this book. 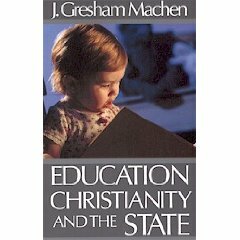 It is available from the Chalcedon Foundation. Posted by heldveld in Antithesis, Blog Spotting. There are essentially two ways that humans can understand the world. The first way is the way we all understand the world until the Holy Spirit intervenes in our lives and gives us new eyes to see. This worldview is I-centered. I am the center of my own universe and the arbiter of all truth. I may not vocalize things in just this way and may not even think them quite like this, but it is ultimately what I believe. I believe that I am capable of looking at the world and understanding the way it works—who God is, who I am, the relationship between us, and so on. The other way of seeing the world is God-centered. Here I acknowledge God as the center of all that exists and the arbiter of all truth. Everything that is true and everything that is knowable has its source in Him. Thus I can only interpret the world properly by rightly acknowledging God. This is, obviously, the biblical worldview. It is God who tells me who He is, God who tells me who I am and God who declares the terms of the relationship between us. Here is the central antithesis, the point from which all other departures in world view originate, it is either God or myself who is the center. 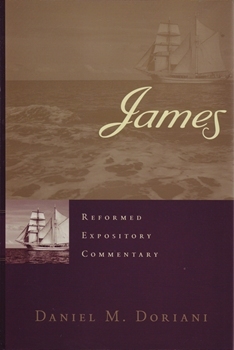 Posted by heldveld in Book Reviews, Daniel Doriani, James, Reformed Expository Commentary. I will have to admit this is the first commentary I’ve ever read. I know a 30 something, life long Christian not having read a commentary is shocking…. OK maybe its just more of a sad statement of the state of current Christianity in the US, but that being said it will not be the last. This particular volume was very insightful and easy to read. I’ve been interested in James after hearing our pastor peach through the book and thinking about what it means to live a Christian life. One of the big issues with James, for us Reformed types anyways, is that the book seems to teach salvation by works and not faith, the opposite of Paul. Doriani however fleshes out the gospel in James pointing to “mercy triumphs over judgment” (2:12), “the Lord is full of compassion and mercy” (5:11) and “God …gives grace to the humble” (4:6). These passages show that James expects the believer to rely on God and not their works. James obviously speaks about works but Doriani explains that we should see faith leading to salvation and then to good works. He also points out the many similarities between the book and Old Testament wisdom literature. It is also shown how James also uses the poetic chiasm (1-2-3-3-2-1) pattern at points to build his case. In all he does a great job of tying all of James’ points together into a coherent whole. HP used to use the slogan ‘The Computer is Personal Again’ touting the many customizations and configurations available on their PC’s. Anyone could purchase a PC that was exactly what they wanted or needed. It seems that some people have the same idea about morality. At that point hasn’t objective morality just left the building? Can said Dr. even believe that morality exists, hasn’t the whole concept just been reduced to personal opinion? The sad thing though is that the non-believer has nothing on which to base an objective moral standard. So from that world view it is accurate. The antithesis then is that the Christian has God’s word as his standard, not personal opinion. Posted by heldveld in Antithesis. In this post ‘Living Dangerously…at Walgreens: What can our Purchases at a Pharmacy Tell us About our Theology?’ Hank @ Lawn Gospel (HT: The Thirsty Theologian) ask us to think about birth control and what it could say about our world view. If we affirm that Scripture is God’s Word, to God’s people, for all time – then we are bound by that confession to affirm that children must ALWAYS be valued as gifts to be received, rather than burdens to be refused (until we deem fit). All I can say is ‘convicting’.